In the sixth year of the Spring Festival Red Packet War, Baidu has become the leading player. Like its habitual absence in the mobile Internet era for many years, Baidu has also been a visitor for five years in the Spring Festival Red Pack campaign. In the past five years, he has witnessed the development of Alipay and the God of WeChat payment. At last, when people thought about the war, they finally stepped in, and 900 million took the C position. This time, what Baidu wants to push is not WeChat and WeChat, but rather Baidu APP, which carries almost all its mobile Internet dreams. According to Baidu's official announcement, during the late spring, Baidu issued 10 million red envelopes of $2019, 1 million red envelopes of $88, 100,000 small AI speakers, 10,000 red envelopes of $2019 and a number of hand bags. Because Baidu mandatory users only download the APP to get the red envelope, which makes its new effect quite impressive. As of 3:00 a.m. on February 5, Baidu App, formerly Baidu Mobile, successfully ranked No. 1 in the App Store free total list, creating the best result after renaming. Interestingly, while Baidu is rekindling the flames of war, Alipay and WeChat, the two traditional protagonists in the Spring Festival war, are still silent. As Zhang Xiaolong, senior executive vice president of Tencent in 2016, said, WeChat's historic mission of shaking red packets has been completed. The era of WeChat and Alipay's influence through the Spring Festival red envelopes was gone forever. In the era of mobile internet, dividends have already been partitioned out. Now, the former protagonists have been focusing on more refined and innovative operation mode, and pulling new ones is no longer the primary purpose. At this time, Baidu suddenly broke in and became a troublemaker. The battles between the Internet and the mobile Internet era for many years are mostly about the entrance of traffic. The Spring Festival, as the most focused festival in a year, should have a huge flow, thus becoming the focus of Internet companies. But for a long time, although the participants are numerous, they mostly stay at the level of nominal sponsorship. Until the Spring Festival in 2014. Because of its simplicity and interesting operation, Wechat Red Packet has been widely disseminated through social relations chain in a short time after its launch. 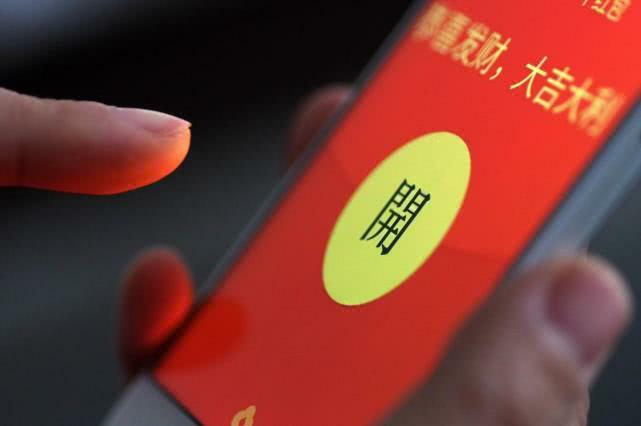 From New Year's Eve to the 16th hour of the new year, more than 5 million users participated in the grabbing of Wechat Red Packet, totaling more than 75 million grabbing of Red Packet. More than 20 million red envelopes were received, with an average of 9412 red envelopes per minute. Because red envelopes must be bound to bank cards, the popularity of Wechat red envelopes has also led to the growth of the number of red envelopes. 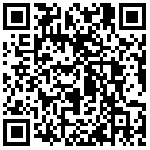 As a result, Wechat Payment became famous in World War I and began to shake the third-party payment market at that time. According to the data released by Wechat, the total number of red envelopes sent and received by Wechat reached 1.01 billion times on New Year's Eve, and 11 billion times during the spring evening from 8 p.m. to 0.48 p.m. on New Year's Eve. This year's Spring Festival Gala operation was even known as an attack on Alipay by the outside world. With the interesting play and the strong coverage of the Spring Festival Gala, WeChat has leveraged a larger user group through red packets and further promoted the development of WeChat's payment business. During the 2016 Spring Festival Gala, Alipay took the right to cooperate and paid hundreds of billions of dollars in red envelopes. Although we have not cooperated with Spring Festival Gala, Wechat still grabs the main position of red envelope for users by means of red envelope photos, QQ password red envelope and brush. Finally, the most intense red envelope battle took place in the spring evening of 2016. But with the steady market share of the third party payment, the Spring Festival Gala in 2016 became the last confrontation between WeChat and Alipay during the Spring Festival. According to the third party payment market data released by the three quarter of 2016, Alipay and WeChat accounted for 50.42% and 38.12% of the market share respectively. In the first quarter of the year, the figures were 63.41% and 23.03%, respectively. Many efforts, including the Spring Festival Red Bag War, have been directly reflected in the market share of Wechat payment. But the big market situation has also shifted. As the dividend of mobile Internet fades gradually, the market structure of mobile payment is basically stable, and the possibility of catalyzing the rapid development of important business through the red envelope has been negligible. The already solid market share and the nearly exhausted flow dividend make the Spring Festival bonus battle which needs the flow logic support suddenly cool down. Since then, the Internet giants'cold treatment of the Red Bag War has continued in the Spring Festival of 2018. But some changes are happening quietly. In 2018, Wechat, which took the initiative to cool down the operation of red envelopes for the Spring Festival, began to migrate all red envelope activities offline. Users had the opportunity to get red envelopes by shaking them when they consumed online. QQ, which belongs to Tencent, introduced the red envelope game in 2018. From 9:00 a.m. to 23:50 p.m. from February 16 to 18, users could get a red envelope every 100 steps. The maximum number of times a day to receive red envelopes is 100. But in any case, compared with before 2016, the Internet giants in 2018 in the Spring Festival red envelope war early promotion, capital investment, play innovation and other aspects have been significantly shrinking or turning. At this time, the Red Bag War has become more of a defensive operation. At the same time, with their new formats, some innovations and adjustments have begun. But with Baidu's entry in 2019, the Spring Festival Red Battle has begun a new round of fever. All four rounds of red envelopes are participating in the interaction on Baidu APP. Baidu's appeal is undoubtedly a new one. Baidu, which lacks tickets for the mobile Internet era, has made many attempts before, but almost all of them ended in failure. Recently, Baidu has been widely criticized for re-launching its 100-name content products. In this context, Baidu suddenly broke into the Spring Festival red envelope battle is also reasonable, or that is to say, it is too late to enter this traffic dispute. But what's strange is that unlike WeChat, who paid for the war of red envelopes during the Spring Festival year, Baidu did not enter the war in the name of its financial services application, but directly in the name of Baidu APP. In January 2018, the mobile phone Baidu APP was renamed Baidu APP, which was once thought to be the carrier of Robin Li's determination to transform into mobile phone. However, the lack of sufficient killer maces has kept Baidu APP tepid. For most of 2018, Baidu APP maintained its free ranking in the App Store rankings between 10 and 30, which is not a brilliant achievement for an app that was supposed to be growing up. The Spring Festival has undoubtedly become a critical opportunity for anxious Baidu to break through. Baidu, eager to sell the whole ecosystem, is no longer satisfied with the level of payment tools. Now that the mobile Internet era is nearly saturated, it has launched another general attack. But the effect still depends on Baidu APP's own hard power: if there is no convincing reason to stay in the user's mobile phone, even if the diversion is completed during the Spring Festival, the subsequent retention will not be optimistic. In addition, Baidu led this round of Spring Festival bonus battle, but also fully demonstrates the overall trend of mobile Internet dividend thinning era. It can be said that although the overall trend of the Internet has been decided, the local war has not stopped. As a microcosm of the traffic controversy, the Spring Festival Red Packet Battle carries the endless expectations of Internet giants, some people are anxious, others turn around, just as relying on the Spring Festival Red Packet luxurious turn of the micro-mail payment, before the end, there are still infinite possibilities. To grab a few cents of red packets of people is how silly? WeChat pays five years of War: it's worse than Alipay, another attack on Pearl Harbor.